After moving to California and being inspired to get more fit, Christel noticed a lack of resources for managing blood sugar while exercising. So she decided to change that. She and her husband cofounded Diabetes Strong three years ago, and she agreed to chat with us about her experience. Have you always been an athlete—does this lifestyle come naturally for you? I grew up in Denmark, where everyone bikes everywhere, so I was always active, but I was never an athlete. But when my husband and I moved to Santa Monica—well, that's the epicenter of active living. I started working out at a bodybuilding gym and I was incredibly inspired. I saw what people were doing and I wanted that for myself. As I got into it, I felt empowered, happy and relaxed. When did you realize there wasn't a lot of information available? Actually, I learned early in my diagnosis what it was difficult to manage my blood sugar while exercising. I was 19 when I was diagnosed, and I remember being told to be active, but there were no tools to help me do it. I got this pamphlet that said to eat 15 grams of carbohydrates every half hour. It was useless. So how did you manage your blood glucose when you started working out more intensely? I went online for resources, and they just weren't there. Fortunately, I'm a fairly structured person anyway. So I tracked what activity did to me. I learned that when I did any cardio, it lowered my blood sugar in the moment. But when I did resistance training, like lifting weights, my blood sugar was more stable over time. Of course, doing both is optimal, but I really enjoy the strength training side of it. And that's how Diabetes Strong was born? I had an intense corporate career as a management consultant in medical technology. Then, in 2015, my eyes opened up to the idea of Diabetes Strong, and now it's full time for my husband and myself. He doesn't have diabetes, but he really gets it. When we started, there weren't even any published studies or guidance from the medical community. Finally, The Lancet and the American Diabetes Association began to provide some evidence-based direction that doctors could share with their patients. Sounds like you'd already figured a lot of it out for yourself. Well, I saw how exercise affected me, and then I expanded into how it affected other people, particularly those who use insulin to manage their blood sugar. I encourage people to own their diabetes. With effort—and a lot of testing—you can't eliminate, but you can reduce blood sugar swings. 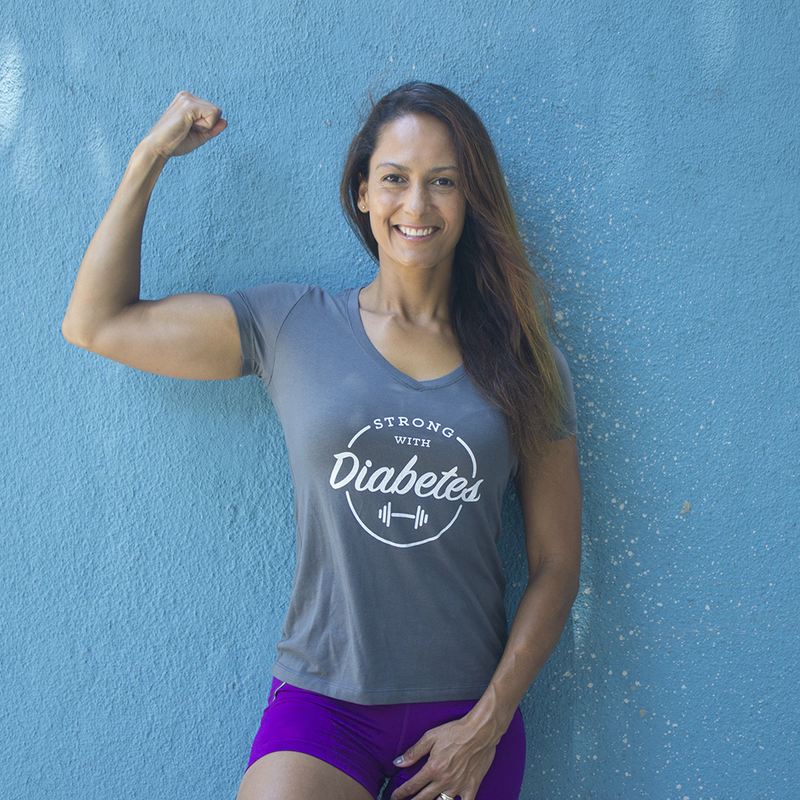 For example, in order to manage my blood sugars before starting a workout, I know there are two levers I can pull—the amount of insulin or the amount of energy or carbs my body has available. And I know I have the power to pull them. You need to know your body and how to make the tweaks. I don't get it right every time—of course I don't. We never have complete information about what's going on in our bodies. But if we get it right 80% of the time, or 70%, that's still way above average. Anything in the direction counts. It's great that you made changes because you wanted to be healthier, rather than because you had diabetes. It's true. I never lived my life based on diabetes. I just lived my life.